For epic landscapes, gorgeous coastlines, revered national parks and fast-paced glitzy cities, the American West is one of the most eye-popping outdoor playgrounds on the planet. But it’s also most challenging to navigate independently. 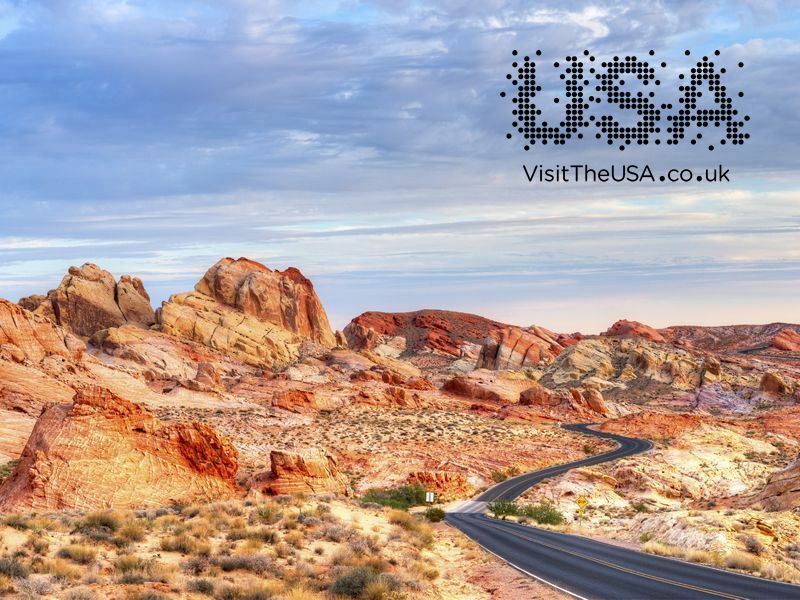 So it’s obvious, then, why escorted tours have proved to be such a pull for those keen to get their kicks on Route 66, hike in Yosemite, have a flutter in Las Vegas, unleash their inner cowboy/girl in the Wild West, and enjoy cultural fixes aplenty. Best of all, each tour includes on-location guiding, action-packed itineraries, hand-picked accommodation and of course, all the travelling. Here’s our pick of the top 10 escorted tours in America’s West guaranteed to meet the collective needs of people of all ages. What: Kicking off in San Francisco and ending in Seattle, off-the-scale adventure awaits in Eureka, Portland, Oregon, and more. You’ll get to marvel at supersized trees at Redwood National Park, learn about the indigenous Quinault people at Olympic National Park, cruise along the Puget Sound, and savour gourmet delights washed down with world-class Pinot Noir at the Williamette Valley Winery. Further thrills await at Oregon’s spectacular wind-sculpted sand dunes and 611-foot-tall Multnomah Falls. The best bits: You’ll have ample time to discover the vibrancy of San Francisco - the cosmopolitan and bohemian city set against a glittery bay. Must-sees include the Golden Gate Bridge, Golden Gate Park, Telegraph Hill, Fisherman’s Wharf, and Haight-Ashbury. 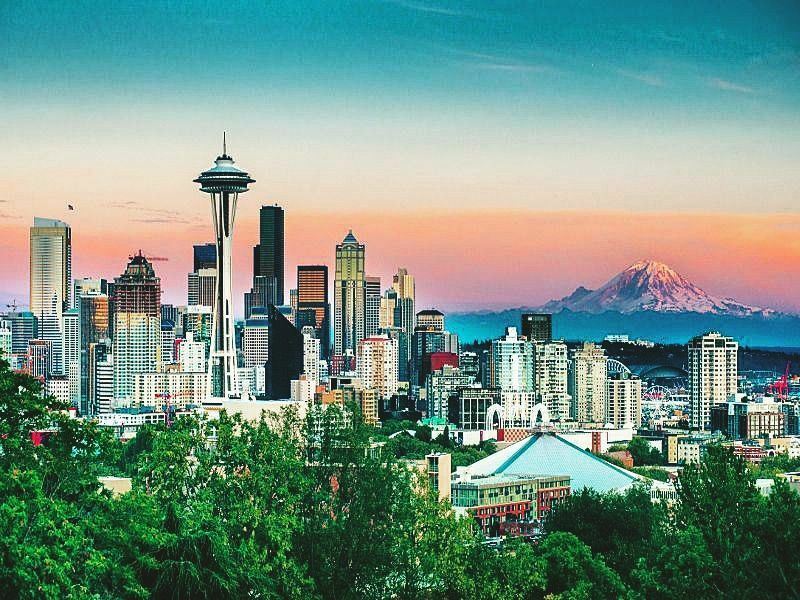 Seattle is also worthy of your attention; highlights here include the Space Needle, Seattle Art Museum’s Olympic Sculpture Park, Museum of History & Industry, and the first-ever Starbucks that’s right at the entrance to the city’s historic fish market at Pike Place. Cost: From £2,949 per person, including flights. What: The American West is where you come face-to-face with Mother Nature, especially at the three show-stopping national parks revealed on this highly-curated tour. Prepare to be amazed by the 277-mile-long Grand Canyon, the soaring red-and-white cliffs and stone sculptures at Zion National Park, and the whimsically-shaped Hoodoos at Bryce Canyon National Park. There’s also a tour of Monument Valley with a Navajo tribe member, a three-night stay in Las Vegas, and the chance to wind down at Lake Powell - the watery wonderland on the Colorado River. The best bits: A jaunt in Las Vegas means you’ll get to sample a fair amount of what this neon-lit desert metropolis has to offer; think glitzy casinos, eclectic museums, star-chef restaurants, and designer-led shopping. 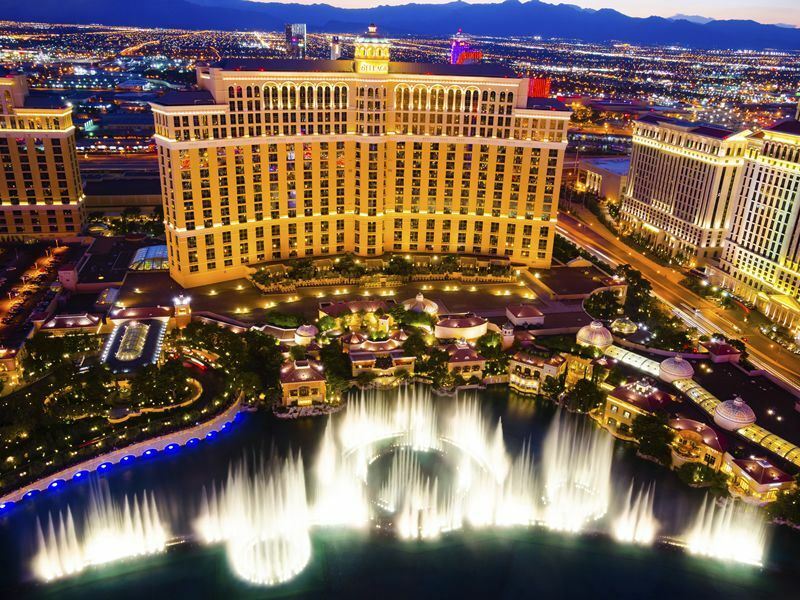 Highlights include heading to Fremont Street for the nightly LED light show, watching the dancing fountains outside the Bellagio, and visiting Shark Reef at Mandalay Bay - the super-sized aquarium filled with almost two million gallons of seawater. Cost: From £2,269 per person, including flights. What: For adrenalin rushes during the day and uninterrupted stargazing at night, this family tour offers under-canvas sleeps and lovely hotel stays. Travelling in a small group, you’ll visit the Grand Canyon, Valley of Fire, Horseshoe Bend and Hoover Dam, as well as hit the hiking trails at Bryce and Zion National Parks and enjoying water-based fun at Lake Powell. Further highlights include marveling at the red mesas, buttes and spire rock structures at Monument Valley, and road-tripping on Route 66 - the iconic 2,448-mile stretch known as the Mother Road. 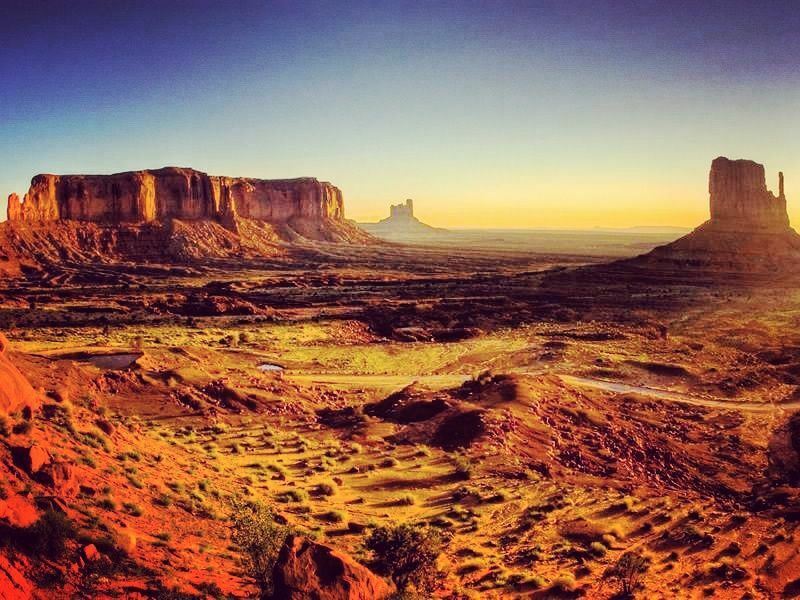 The best bits: As the symbol of America’s West, the red-hued Monument Valley is the sacred heart of the Navajo Nation. Guided by one of the tribespeople who call this sprawling desert land home, you’ll get to travel the backcountry to learn about their culture and customs, and bed down for the night in a traditional Navajo mud hut known as a Hogan. Cost: From £2,449 per person, including flights. 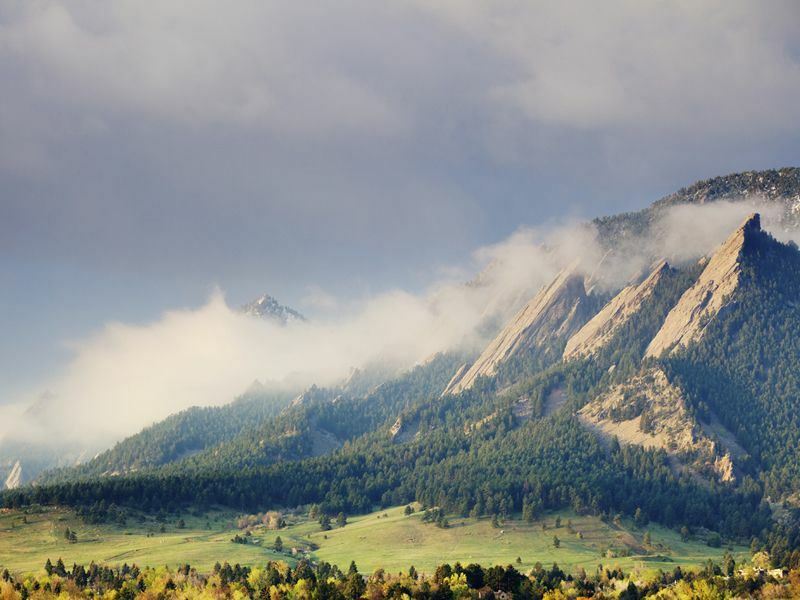 What: Beginning and ending in the mile-high city of Denver, this perfectly-planned tour is all about fresh and fast adventures that never slow down. There’s stays in Cheyenne, Rapid City, Cody, Jackson Hole, Salt Lake City, Albuquerque, Santa Fe and Colorado Springs, as well as the chance gaze in wonder at peaks and canyons of sizeable proportions at Mount Rushmore National Memorial, the Bighorn Mountains, and Yellowstone. Further fun at the Buffalo Bill Historic Centre, Fort Laramie and Route 66 will have you wishing you could stay for longer. The best bits: Fuelled by Wild West charm and a unique urban-chic vibe, Denver is the cultural capital of Colorado that lures with a hipster-filled downtown district. Must-dos here include hitting the 16th Street Mall for cowboy apparel, relaxing in the Denver Botanic Gardens, watching street performers in the buzzy Larimer Square, and taking the free 45-minute tour of the US Mint. Cost: From £2,049 per person, including flights. What: Natural wonders pull focus here, so prepare to be dazzled by soaring peaks, striking coastal scenery, and some of the world’s tallest trees. Kicking off with a tour of San Francisco that includes visiting the Cable Car Museum, you’ll get to wine and dine at Napa Valley, soak up the alpine beauty of Lake Tahoe, learn about fruit and veg production in Salinas Valley, and relish stops in Sacramento, Yosemite, Carmel, Big Sur, and more. A farm-to-table dining experience in Monterey and the giant redwoods of Henry Cowell Redwoods State Park wrap things up nicely. 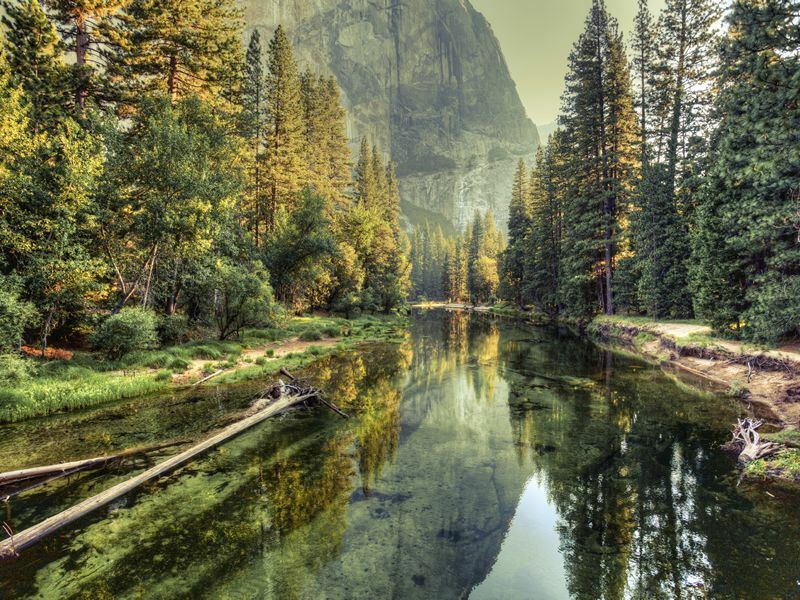 The best bits: For waterfalls unlike anywhere on Earth, the head-turning Yosemite Valley is the crown jewel of California’s Yosemite National Park - a UNESCO-listed wonderland that spans a whopping 1,200 square miles. After accessing the park through the snow-clad Tioga Pass in the Sierra Nevada Mountains, check out the 620-feet-high Bridalveil Fall - the iconic waterfall that may not be as high as the Yosemite Falls, but it’s definitely the best-looking. Cost: From £2,539 per person, including flights. What: Nothing offers a better perspective on the contrasting wonders of America’s West than the national parks. Kicking off in San Francisco and travelling in small groups of no more than 13, off-the-scale adventure awaits in no less than six states. You’ll get to seek out all the big-hitters - Yosemite, Death Valley, Zion, Bryce, Grand Canyon, Monument Valley, Yellowstone and Arches - as well as enjoy a Grand Teton Mountain hike, Salt Lake City tour with a Mormon guide, and stays in charming lodges, inns and cabins. The best bits: For those who want to inject more adrenalin-charged fun into their escape, it’s well worth getting stuck into the optional activities on offer. Choose from Wild West-style horseback riding, mountain biking or white water rafting - or take an off-road Hummer tour or Colorado River float trip. Equally worthwhile is a visit to Alcatraz Prison, and either a cable car ride, bike ride or sunset cruise in San Francisco. Please note that extra charges apply. Cost: From £3,689 per person, including flights. What: West Coast splendour reveals itself on this upscale small group tour. Travelling by private plane, you’ll get the best of both worlds; national parks that serve as a reminder of the scope of Western America's beauty, and fast-paced glittering cities that are more cutting-edge than you’d imagine. Beginning in Las Vegas and ending in Los Angeles, there’s guided tours of the Grand Canyon and Yosemite, scenic drives along Monterey’s Cannery Row and 17­Mile Drive, cruising on San Francisco Bay, and visits to Napa Valley, Sonoma, and more. You’ll also have the option to extend your stay with four nights on Hawaii’s Waikiki Beach. The best bits: Sun-soaked Los Angeles has always had its glided edge for fabled beaches, excellent museums, fashion-forward restaurants, and innovative art and architecture. Cue a day enjoying an in-depth tour that promises the best of this star-studded hub. 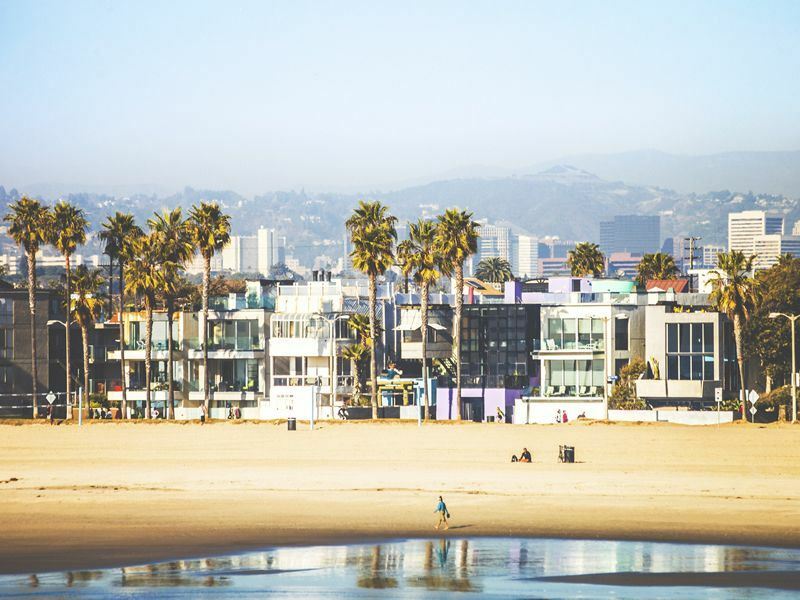 Not-to-be-missed stops include Venice Beach, Marina del Rey, Santa Monica, Hollywood, Walk of Fame, and the iconic cinema palace that is the TCL Chinese Theatre. Cost: From £2,579 per person, including flights. 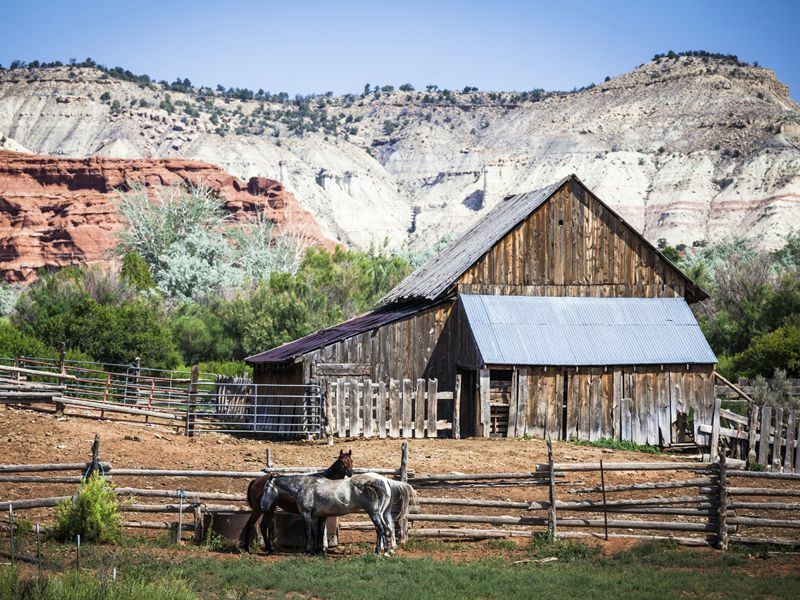 What: A thrill-a-minute family adventure is assured in the Old West, the wide-open landscape marked by red rock formations and enough movie references to make you want to return here immediately and do it all over again. Following in the footsteps of real-life cowboys and native Indians, you’re offered a compelling mix of laid-back road and rail trips, mind-blowing vistas at the Grand Canyon, and visits to Zion and Bryce Canyon National Parks, Sedona, Montezuma Castle, Cameron Trading Post, Monument Valley and Lake Powell. The best bits: Once limited to the Navajo and Hopi Indians who came here to barter their hand-made goods for food staples, Arizona’s hundred-year-old Cameron Trading Post still sells western basics. 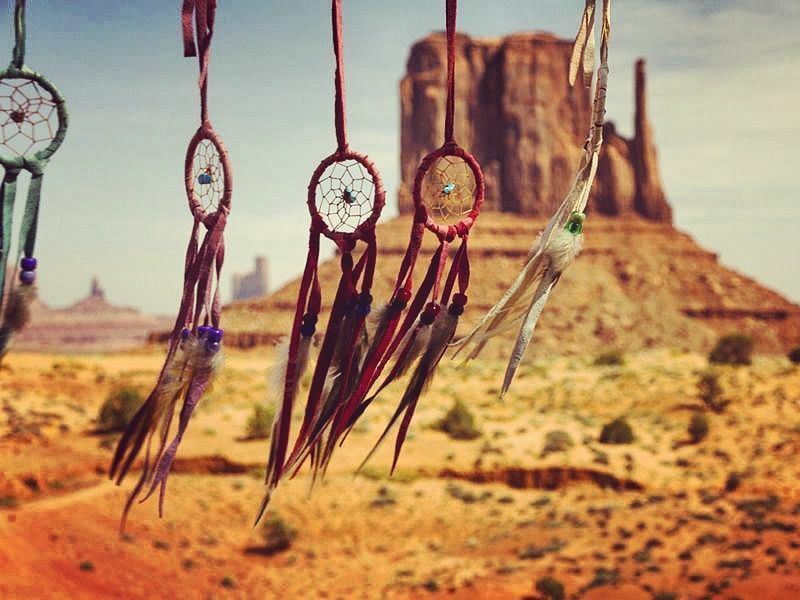 But it’s the Native American crafts by tribal artisans that are most appealing; be sure to stock up on silver and turquoise jewellery, wood carvings, wool blankets, colourful pottery, and weaved rugs crafted on looms handed down through generations. Cost: From £2,229 per person, including flights. What: While the scale alone of America’s West will make you wish you had double the amount of time planned, this outstanding tour packs in more than enough to satisfy. There’s copious urban thrills in San Francisco, Los Angeles, Salt Lake City, Virginia City, Williams, Reno and Las Vegas, as well some of the region’s most awesome landscapes. Highlights include Craters of the Moon, Yellowstone, Colorado River, Canyonlands, Capitol Reef, Arches, Bryce Canyon, Lake Tahoe, the Sierra Nevada mountains, and the Grand Canyon. 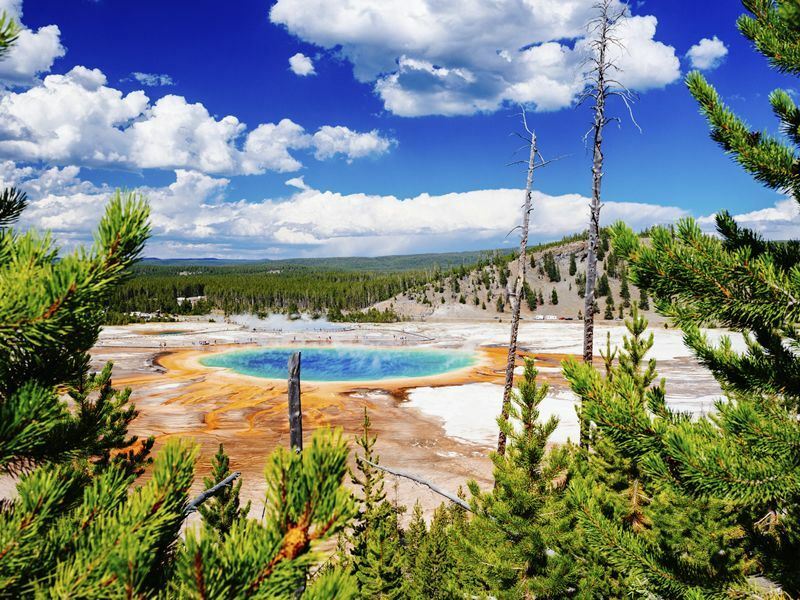 The best bits: A mountain wilderness, boasting historic cabins and prehistoric sites, that’s home to grizzly bears, eagles, wolves, and herds of bison and elk, Yellowstone National Park is the core of one of the last, nearly intact ecosystems in the Earth’s temperate zone. What: For bucket-list smugness, our most popular escorted coach tour ranks as number one for its ambitious itinerary and affordability. You’ll get to see exactly what makes America’s West so special with a selection of gems that include the Painted Desert, Grand Canyon, Monument Valley, Lake Powell, Bryce Canyon, Death Valley, Mammoth Lakes, Yosemite, Oak Creek Canyon, Monterey, Carmel-by-the-Sea, and more. Top things off, there’s limitless fun in Las Vegas, San Francisco, Los Angeles, Santa Monica and Santa Barbara. The best bits: No trip to California’s central coast is complete without a sojourn to Carmel-by-the-Sea, the arty beach city on the Monterey Peninsula. Must-sees include the fairytale-like cottages, gourmet eateries, upscale boutiques, contemporary galleries, and pristine white-sand beach. 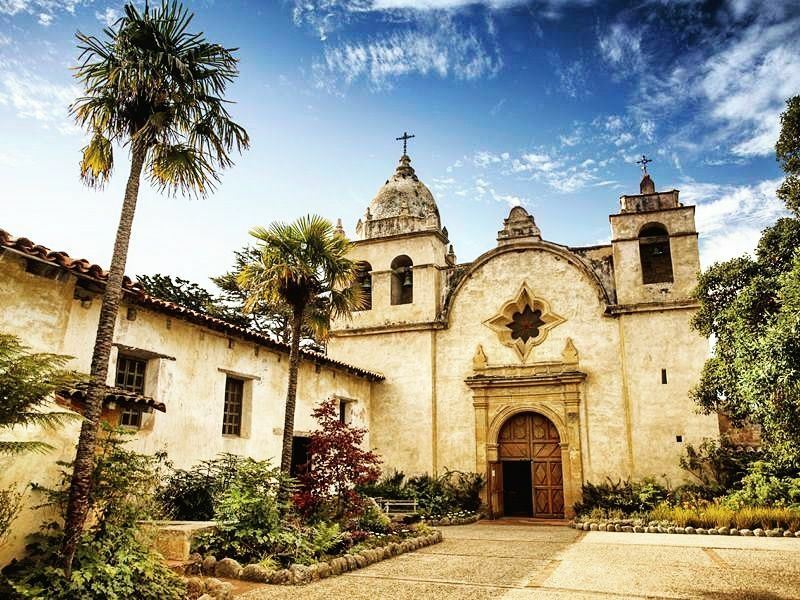 If time allows, touring the Carmel Mission with its four museums, basilica, courtyards and Indian cemetery is a great way to spend the morning. Cost: From £1,599 per person, including flights.